At the beginning of each month, from now until the beginning of camp, we will be posting important dates, reminders and helpful hints to guide you in preparing for the summer ahead. As always, if you have any questions, feel free to contact us in the office and we’ll be happy to help! If you haven’t already registered for Main Village Winter Weekend on March 7-8th, now is the time! This event is open to any 2014 Frosh, Lower Juniors, Upper Juniors and Lower Inters. You can register right here: 2015 Main Village Winter Escape. When you receive the suggested Packing List and Camp Spot Online Catalog, please make sure to review it and contact us if you have any questions. The sooner you purchase any items, the sooner you will receive them. Now is a great time to make your appointment with the doctor for your camper’s medical check-up. If you are not currently subscribed to The Trail (formerly know as the Camp Echo Lake Blog), be sure to subscribe now, so you don’t miss anything! If you haven’t already explored our new website or watched our new videos, be sure to check it out! Have a great President’s Day and if you’re off school for winter break…enjoy! To make sure you always know what is up and coming, check out the CEL Events Calendar. 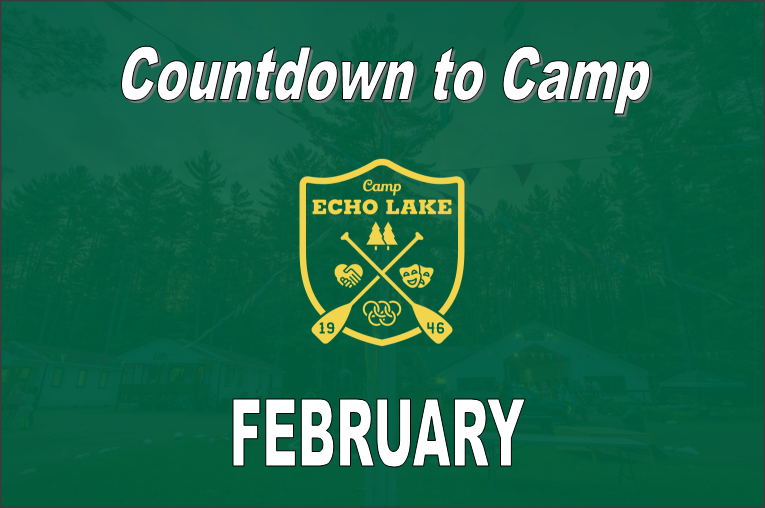 You’ll be receiving an email from us in early March, which will include access to all of the camper forms for you to complete for your child(ren). All new campers will be receiving a letter from a camp big brother or big sister.